A super reunion and the “Comic Book Men” helped fill the halls of Bartle Hall over the weekend. Kansas City Comic Con, now in it’s third year, saw thousands upon thousands of people pass through the entrance between November 10th-12th. There was plenty to do, including lively panels, events on the main floor, and meeting celebrities, animators, creators, cosplayers and othersw. During the hustle and bustle, the MediaMikes crew met fans of the website and garnished new fans with a booth featuring “Superman” memorabilia and a few free promotional items. In a city full of cons throughout the year, Kansas City Comic Con has sliced out it’s own piece of the year to entertain and reward those in attendance. 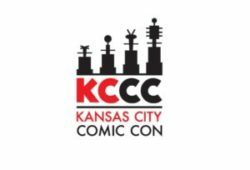 MediaMikes looks forward to working with and joining Kansas City Comic Con in 2018. 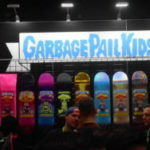 All things pop culture descended on New York City specifically The Jacob K. Javits Center as the sprawling complex once again played host to the annual New York Comic Con held on October 5th-8th. The event now in its 11th year was once again put on by the Connecticut based company Reed Pop a company who organizes some of the largest pop culture events around the country. 2017 proved to be no exception and despite having to deal with a smaller venue space due to construction the event still boasted an over whelming number of vendors and appearances by some of the biggest names in comics, film and television. Day two of the four day convention this year seemed a bit lacking in the way of panels and events as compared to previous however that did not thwart our attempt to take in the massive show floors and numerous cos-players as the con is always one we look forward to attending each year. Right off the bat we noticed that the entry to the event was much easier than in previous years as there was now two different entries for single/multiple day pass holders. This dramatically cut down the once endless serpent like line which in previous years engulfed the outside areas of the center. Despite a quicker entry once inside you could instantly see that the construction taking place in several key areas of the center such as the section which normally houses artist alley was causing large bottle necks of immovable lines. For those wanting to meet their favorite artist or creator gone was the spacious, well lit corridor which was always a nice break from the hustle and bustle of the main show floors but instead this year creators and artist were relegated to one of the structures basement levels which caused for a less than pleasurable viewing experience complete with cramped/impassible walk ways and a heightened room temperature that at times almost took your breath away. After a couple escalator rides we made our way on to the main show floors. This area also seemed to take on the brunt of less floor space in other areas as walk ways and vendor spaces seemed much smaller than in previous years. 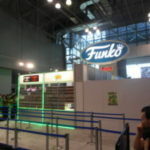 As always the Funko booth commanded a lot of attention as those fortunate enough to be selected in the lottery process waited in endless lines in hopes to purchase one of the sought after convention exclusives. During our time at the booth we had the chance to grab a quick autograph from WWE Superstar and Funko Enthusiast Zach Ryder who had stopped by to check out his NYCC exclusive Pop! figure. 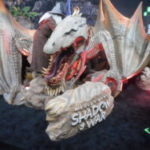 Other notable vendors were the Middle Earth “Shadow of War” booth which featured a life size dragon which convention goers could have their pictures on and Marvel vs. Capcom’s replica Ultron and throne display both of which garnered long wait times just to get a glimpse of. Before leaving for the day we made quick stop in the autographing area which as always is a popular stop for most attendees. Some of the big names this year included Michael Rooker, Peter Capaldi and Mark Hamill among a long list of others. With prices ranging from $40 to $300 per signature we did not spend a lot of time in this area but there were plenty of others anxiously awaiting to spend their hard earned cash to meet their favorite actors and actresses. With more and more events/panels being held off site it makes me question just how much longer the Javits center will remain a viable location for the Con. With early attendance figures coming in at around 200,000 for the four days the event shows no signs slowing down. Hopefully the center will be back to full functionality for next year’s event as the lack of space definitely impacted all aspects of the event. Either way, we can not wait for next year. New York Comic Con has become the premier East-Coast destination for all things pop culture and 2017 was no different. 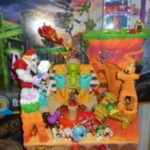 New to the convention floor this year was Fisher Price’s Imaginext toy line which features a wide variety of multi-faceted play sets, figures and vehicles taken from the pages of the DC universe. 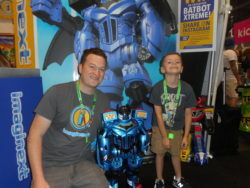 As an exclusive for this year’s convention Imaginext creators brought a special themed version of their DC Bat-Bot Xtreme for a lucky few to purchase. Media Mikes had the chance to speak with designer Rob Hageman about the piece as well as what the brand has in store for this year’s holiday season. Ian Lawton: How did you come up with the original idea for the original DC Bat-Bot Xtreme? Rob Hageman: We actually started off by making a smaller version of the toy. It had all the same workable features and everything but when we got it all done we realized it would be cooler if we made it a lot bigger. The smaller version was great but once kids got a hold of the larger version that’s the one that everyone really enjoyed. IL: Can you tell us about some of the feature on the Bat-Bot Xtreme? RH: I think the best feature is when you turn one of the action discs as it opens up the wings of the robot. Once you do that you have access to the punching power triggers on each hand. You can also fire discs out of the fists as you punch. Across the top are a number of buttons which shoot several rockets. On the opposite foot of the robot is another action disc which opens up the chest of the robot to reveal an elevator which takes figures up into the head of the robot. Also featured is a voice changer which allows you to talk into the back of the toy and transform your voice in to that of a robot. There is a hidden bat cycle in one foot of the robot which can be shot out while the other foot features a jail for locking up any bad guys. IL: The Comic Con version of the Bat-Bot Xtreme is different from the one in stores. Can you tell us about that? RH: There is a comic book version of this robot that is much more metallic than the retail one. The retail one is still super cool but it’s done in standard blue plastic where the 300 we did for Comic Con have a special blue metallic paint job that is closer to what is seen in the comic. With this special version I really was trying to make sure it looked as close to the one pictured in the book. The exclusive version also comes with in special packaging featuring some really great art work, magnetic switches and LED lights. IL: How do you decide which characters you are going to make into a figure? RH: Each year all the designers get together and draw a bunch of concepts. We will take them to the team and give them our best pitches for each one. From there we work as a team to finalize designs and figure out which look the best, are the most relevant and will help Imaginext flush out the DC Universe. IL: What other characters/figures are you set to release? RH: We have Mongul and Green Lantern set to come out along with Black Canary and Night Wing around Christmas time. Also set to come is Steppenwolf as well as Swamp Thing and Survivor Batman. I think that’s probably one of our best packs we have done so far. IL: How would someone go about becoming a toy designer? RH: When I was a kid I loved to draw and it was something I always did. I would draw my toys along with other toys I may have wanted. I also drew a lot of robots as I love robots. When I got to high school a teacher of mine had a friend of his who worked for a toy company come to class. He brought in all the things he had worked on and told us it was his job to make toys. I knew then it was something I wanted to do. I kept drawing more and more and after high school I went to art school and focused on toy design. I am now doing what I wanted to do ever since high school. IL: What has been your favorite toy that you have created/worked on? RH: My favorite is the regular Bat-Bot which transforms from a tank to a robot. It was an uphill battle for me to sell that in as I wanted the transformation to be able to happen while the toy was still in the package. I wanted there to be two different forms while making things easy to maneuver and play with. The voice on it is really great as well. 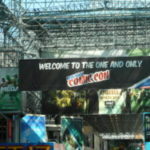 The Jacob K. Javits Center in the heart of New York City once again played host to the annual New York Comic Con on October 6th-9th where for four days the sprawling complex became the epicenter for all things comics and pop culture. 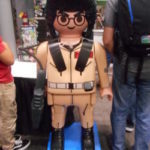 The event which is now in its 10th year was once again put on by the Connecticut based company Reed Pop a company who puts on some of the largest pop culture events around the country. This year’s Con was no exception boasted appearances by some of the biggest names in comics, film and television. For our coverage this year we chose to check out the events taking place on day two of the convention. Friday’s schedule included panels with the casts of “Steven Universe”, “Resident Evil: The Final Chapter” and “Underworld: Blood Wars”. 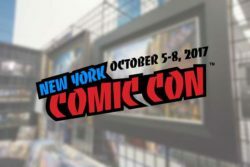 Autograph signings with “Game of Thrones” star Jack Gleeson, “Stanger Things” Millie Bobby Brown and David Harbour, comic creators Greg Capullo, former My Chemical Romance front man Gerard Way and making his final NY Comic Con appearance Stan Lee. Needless to say we were quite excited for the day’s events. Right off the bat the event seemed a bit different this year. Despite the entrances still being overly crowded causing extended wait times once you were inside the venue however, the normal wall to wall congestion seemed much lighter than in previous years. This could be related to the addition of several off site venues which were now hosting panels and screenings throughout the day and/or the newly introduced digitally monitored cue lines which were now required to attend a panel in hopes of alleviating chaotic line ups right before the start of an event. Though this alleviated some congestion it still created a number of new problems and a fair amount of confusion amongst attendees. The new offsite venues which included the Theater at Madison Square Garden and the Hammerstein Ballroom were welcome additions however they two weren’t without issue as once attendees left the main convention hall upon returning he or she would again need to wait in the entrance lines. Despite the new changes and the fact that we probably weren’t going to be able to see as much as we had in years past we made our way to the main convention floor. As always it was like a bustling mini city packed to the rafters with everything from limited edition figures and books to unique clothing and tchachke’s. It also was the home to some of the pop industries biggest names including everyone from Marvel and DC to Funko and Lego. Displays ranged in sizes from the minute to the immense as each vendor uniquely showcased their latest and greatest products. The main floor is also a lot of fun because you never know who or what you are going to bump in to. This year we ran smack dab into WWE Hall of Famer Sting as he was shooting some segments for the WWE Network while showcasing some of the new WWE themed “Teenage Mutant Ninja Turtles”. An area garnering a good share of attention but tucked back along the wall in an area known as “The Block” was promotion for the recently released “Shin Godzilla” film. The display which featured several posters for the film and lush red carpeting also included a chance to get your picture with the real life Godzilla! Ok maybe it was just a guy in a Godzilla suit standing in front of a backdrop but, it was still cool! As we continued walking the endless isles and floors of the center we quickly realized that the day was quickly coming to an end and that our comic con adventure for 2016 was about over. Though we weren’t able to take in nearly as many panels as we had in previous years the added space to move around in between events was a welcome addition. The new digital cue system still could use some work however over time I think it will help make for a much more enjoyable con experience and one we will definitely being looking forward to for 2017. Comic books are becoming more and more popular nowadays. Several decades ago, a comic book was treated like meaningless trash whereas it contained pictures and short portions of text about superheroes, ghosts, common people, etc. The majority of comics were produced for children. Apparently, the choice of comic books is enormous. One can find books about scouts, animals, Vikings, schoolchildren, supernatural creatures and others. Without doubt, the most famous and successful comics are about superheroes and their adventures. Modern comic books are no longer treated carelessly. They belong to the specific combination of art and literature. They possess a specific name – graphic novels. The most prominent producers of graphic novels employ the best artists and scriptwriters who make their comics captive, absorbing, curious and uncommon. Every comic book contains its offbeat plot and characters. Most often, graphic novels are periodical. There are specific main characters who experience various adventures in every new edition. As might be expected, young people are interested in comic books and they make them a part of their life. Whenever you want to review a graphic novel for high school, college or blog, you should get to know how to do it beneficially. Firstly, you should prepare for this process practically. Read several different comic books in order to catch their structure, motives, plot, strong and weak sides. You should understand the nature of a graphic novel. Secondly, you should read your specific comic book planned for analysis. It is important to read other editions of this chosen series of graphic novels in order to learn about its characters, the core motives, ideas and peculiarities. Needless to say but many situations and motives repeat in every edition. It is vital to notice them and mention them in your comic book review. In brief, you ought to study the entire world of DC comics if you review a specific graphic novel about Batman, Superman or Flash. It is impossible to grab the main idea of these books if you do not know about the foundational connections between its characters. You cannot prepare a worthy and imposing graphic novel review if you do not write about the author and illustrator of the specific comic book. If you review a comic book about Iron Man, Spider-Man or the X-Men, you will definitely need to mention Stan Lee, the creator of the majority of Marvel Comics superheroes. Say a few words about his achievements, career and impact on the development of the specific series of graphic novels. Illustrators are extremely important for this industry. No one will buy a comic book if there are no fascinating, magnificent and authentic images in it. Very often, people purchase these books in order to possess it like an album. They treat it as a form of art. Thus, you cannot omit an illustrator in your review. He makes the indigenous ‘appearance’ of a comic book. Above all things, you should mention the title of the chosen edition, its date of publication, format and ISBN number. This basic information will help one find the required edition in the Internet or library. Now you ought to analyze the plot of the selected graphic novel. It is smart to divide the plot into two levels. The first level denotes the main characters and events of the story. Of course, you must not reveal the most newsworthy details and the ending of the story. The second level refers to the problems and major ideas hidden in the comic book. For instance, when you write about Superman, you can write how he protects the world and how he would influence our life if he lived in the real world. The quality of writing and artwork are two paramount elements of your review. You should analyze the conflict of the specific novel and evaluate its resolution. You should say whether the author has managed to make a gripping and affecting plot or not. Is the plot unpredictable? What can you say about its crucial moments? Then, you need to pay attention to the illustrations that can be found in the comic book. Say about the artistic style. Illustrators apply cartoon-like, manga and realistic styles. They definitely influence the general perception of a book. What are the dominant colors of your particular graphic novel? Do you like it? Bear in mind that your review is subjective. You cannot impose your point of view on other readers and fans whereas they like these comic books regardless of how you criticize them. Therefore, prepare to receive negative feedback and comments of your readers if you place your graphic novel review on your blog. If you need professional book review assistance from academic experts, you should visit this paper writing service – SmartWritingService.com. Thursday of the convention was once reserved for press and special ticket holders however in the last two years the day has been opened up for single ticket holders and pretty much anyone else who wanted to traverse the ever expanding crowd. In comparison to previous year’s attendance was definitely up as several panels we planned to cover couldn’t even accommodate press due to the at times overwhelming numbers. Thursday’s panel highlights included those by HBO’s “Game of Thrones”, Tru TV’s “Impractical Jokers” a special panel appearance by “Walking Dead” creator Robert Kirkman along with appearances by the cast of AMC’s “Comic Book Men” with the panel being moderated by none other than Kevin Smith. Even though the entire cast of the show was present a majority if not all of the questions were directed towards Smith. Over the course of the hour long discussion Smith detailed his ideas behind the creation of the show and his thoughts on the series success which will celebrate the start of its 5th season on Oct. 18th. Prior to the panel’s conclusion Smith announced that he will begin filming the long awaited sequel to his film “Mallrats”. The sequel which will begin shooting this winter in Pennsylvania centers on Brody played by Jason Lee attempting to save his beloved mall from terrorists. Shooting for the film will begin shortly after Christmas and casting for extras for the film will be announced via Facebook. Smith noted that this is the first of two movies he has planned to shoot in 2016 however he did not say what the other film would be. My hopes would be “Clerks 3” which Smith has said in previous panels he does plan to shoot. We are keeping our fingers crossed. In between attempting to squeeze into the several desirable panels we wanted to cover we ventured to Artist Alley which is always a hot spot for those wanting to meet their favorite comic artists. Atop the rooms upper tier on this day was Seth Myers who had brought his set to the con and was interviewing attendees for a segment of his show “Late Night with Seth Myers”. This certainly added traffic to an already bustling room which showcased booths by some of today’s top artists including “Amazing Spider Man” artist Humberto Ramos, “Deadpool” writer Gerry Duggan, “Wonder Woman” artist David Finch and former Good Charlotte guitarist Billy Martin who is currently drawing for IDW’s “Teenage Mutant Ninja Turtles. With time beginning to dwindle we made our way to the main convention floors which were packed not only with various vendors but every sort of cos-play character you could think of. We even managed to bump into a shoeless Thomas Jane who was attending the convention with his daughter. All the costumes and media personalities jamming the isles only added to the massive amounts of eye candy which were on display. Everything from the latest in vinyl figures to endless amount of comic books both new and old was available for purchase or pre-order. Some of the bigger more impressive set ups included the always prevalent Midtown Comic’s and one by Pepsi who was on hand to promote the upcoming release of “Pepsi Perfect” the futuristic soda originally featured in the film “Back to the Future II”. The display was complete with sleek looking tables and counters which displayed the curvy bottles. To top it all off the display included its very own Delorian time machine flanked by none other than Marty and Doc Brown impersonators. After an exhausting day of searching crowded aisles for numbered display booths, a thwarted attempt at getting a picture of the one and only Grumpy Cat and being shut out of several high profile panels we took account of all the positives we saw throughout the day despite the few negatives and made our way to the 7 train for our journey home. With final attendance be calculated at around 167,000 for the events four days it’s unsure if the Javitz Center will be able to handle the conventions continued growth. 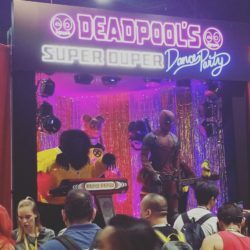 However with numbers which are rivaling San Diego Comic Con the future seems bright for the NY show and we couldn’t be happier to see it continue to grow. Cory Stolberg and Bill Hoeks are dreamers. As the managers of the My Happy Place Comic Book Store in Crystal Lake, Illinois, they’ve set out to give customers the same great experience they had when they were younger. In store giveaways, special guest appearances and the thrill that comes when you first open a new comic. They recently started a Go Fund Me Page in hopes of raising enough money to turn My Happy Place into one of the premiere comic book stores in the Midwest. I recently chatted with Cory about his younger years, his passion and the dream he and Bill hope will come true. Mike Smith: Can you give us some background on the store? Cory Stolberg: We opened the store in January of this year and it is my first time running a comic book store. The current owner opened the store as a tribute to her youngest son, who was only 19 when he passed away three years ago from an unknown heart condition. He was a huge “Captain America” fan and had always told his mom, who had previously owned a used book store, that one day he was going to take it over and turn it into a comic book store. Bill and I have been helping and assisting since day one of this project. We’re involved in everything from planning and remodeling the location to moving inventory around. We also handle setting up the current floor plan and the ordering of merchandise. We try to host an event a month by having artists, writers and publishers in the store for free meet and greets. We hosted Free Comic Book Day back in May and just had another one on Halloween. MS: Is it hard work? CS: We have worked hard every single step of the way We have laid the ground work for where we want to see this store go and the owner has pretty much given us free range to do it and we have made it a success thus far. But the time frame to purchase the store was moved up, which is why we set up the Go Fund Me page. The people that have donated thus far are regulars at the store and they understand and see the big picture of what we want to accomplish. It is their passion and commitment to us that keeps our heads up. MS: Give a little information about your Go Fund Me efforts. CS: I started the Go Fund Me Page in late August and it has had a slow start. Since then, we have fielded quite a few questions. Everything from is the store closing to “what about my orders!” Our store is different from every other I have ever been in. Now granted I don’t get to travel the country and visit other stores, but compared to the many I have been to in Illinois, none of them have the energy we have, none of them greet the customers walking in the door by name, few are willing to go above and beyond to locate books for customers if they are not found in the store or on the Diamond Distributors page. We receive so many compliments from customers who quickly become friends. Because of our efforts they often become loyal to our shop with just one visit. Our goal is $75,000, of which part will be used for updating and remodeling as discussed on the Go Fund Me Page. More inventory, some gaming, some updating, new racks and displays and a nest egg to help us for a bit. Any and all funds raised will go directly into the store. If we do not hit our goal, then ever dollar is returned to the donors. However, we believe that we can and will make this work, it is just a matter of keeping our heads up and staying the course. MS: Why do you want to run a comic book store? CS: For us this is dream. I have been reading and collecting comics on and off for almost 40 years. I dropped out in the 90’s, like many others, after the whole “Death of Superman” experience and the introduction of Spawn and Image Comics to the world. Over the years the writing has gotten better, the artwork is incredible and many of the story lines are just amazing. I personally prefer to read the independent books or smaller publishers, as I have outgrown the whole Super Hero thing. Plus, its near on impossible to go back and try to collect the back issues if you aren’t wealthy. For Bill and I this has been the most fun we have had working, ever. The customers are awesome, most of them are now friends and we get new ones weekly. Even though we know we will never get rich at this, this has been the most satisfying experience thus far in our lives. We are continuing to make friends with people in the industry who truly understand our dream and are helping where they can. We had artists at the New York Comic Con this weekend helping to promote our fundraising page and spreading the word about our dream. Everyone has to start somewhere. It took us many years to get our dream going but there is no letting up on it now. MS: What is the big difference between your store and others? Kansas City already has some established fan conventions with Naka-Kon (for anime and manga fans) in March, Planet Comicon in May and Crypticon for horror in August. With all of those events happening every year, it’s fair to ask if Kansas City, which has a population of roughly half a million could accommodate yet another con. If the crowds and the events at this year’s inaugural Kansas City Comic Con two weeks ago are any indication, the area can indeed host more events like this without saturating the market. With lively panels, highly sought after guests, a good location and a seemingly endless amount of well-crafted, imaginative cosplay, it’s no wonder that organizers say that 10,000 people attended. Kansas City Comic Con, which ran from August 7-9th at Bartle Hall had a daily admission price that was comparable to the daily rate Dragon Con in Atlanta and featured stars like blaxploitation and Quentin Tarantino leading lady Pam Grier, Highlander alumnus Adrian Paul, former Eddie Munster Butch Patrick and Hodor from Game of Thrones, Kristian Nairn. The event even attracted gaming legend Billy Mitchell, who was unfairly maligned in last summer’s turkey Pixels. Normally it would be flattering if Peter Dinklage played you. There were even some vintage arcade games on hand should anyone wish to match or beat Mitchell’s records. Billy Mitchell and Twin Galaxies head honcho Walter Day meet fans. The event also attracted The Walking Dead illustrator Tony Moore, Thor and Wolverine veteran Jason Aaron and James O’Barr, the creator of The Crow. Lord of the Rings, while Grier shared some delightfully NSFW moments from the making of Jackie Brown. The lines for autographs moved with remarkable speed. You could still share a moment with a star, a writer or an artist, and you didn’t have to waste longer than the lifespans of some animalsto get there. Bartle Hall had plenty of space and adequate lighting and wi-fi. Despite some stray birds who came to take part in the cosplay (even though they wren’t in disguise), it was still a far better venue than the decaying hotel that houses Crypticon in KC. Participants at Kansas City Comic Con didn’t have to scramble to find an adequate room the way they did at Crypticon. While it was great to have real stars in our midst, the real delight for me was seeing how well people could pass as their favorite movie characters. This woman, for example, was a dead ringer for Charlize Theron in Mad Max: Fury Road. It would be intriguing to see how Kansas City Comic Con might do in the future. The talent seemed happy there, so others are likely to follow in their footsteps. It’s safe to say that Scarlet Overkill won’t be alone at KCCC next year. Fall in New York City has a different meaning to the millions of people who scurry about the streets each day however for fans of Comics and Pop Culture fall means it’s time for Comic Con! 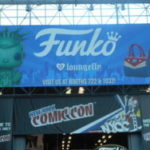 The massive four day event which for the first time ever was preceded buy hero week set up shop at the Jacob K. Javitz center where over the course of the events four days more than 150,000 fans would walk the halls of the massive convention center. With those types of attendance numbers your probably wondering what makes this event so special. Well here is my account of what was going on throughout the day on Thursday of this year’s event. After giving up on the non-existent free shuttle we hopped on the 2 train and then made our way on foot to the convention site. It seems as though the attendance for Thursday was a little underestimated as the convention staff all seemed a bit confused as to how things were supposed to be working for the coming weekend however after a brief security check we were finally able to make our way onto the event floor which even early on was bustling with activity and excitement. Thursdays in past years was always reserved for press and VIP ticket holders however this year single Thursday tickets were available. Cool if your fan, not as cool if you are trying to see everything and write a review. Though the added people certainly made getting around the venue a touch more difficult it wasn’t anything were weren’t prepared for. Several big press conferences were scheduled for the day including those from toy creator Todd McFarlane and Marvel. McFarlane was on hand to announce the release of his newest brick building toy line. The line is based on AMC’s hit series “The Walking Dead” and feature several sets ranging in price from $9.99 for smaller sets and $64.99 for larger sets. Some of the display models on hand for viewing was “The Governor’s Room”, “The Prison Tower” and “Daryl Dixon and Chopper”. All of the sets we checked out lived up to the McFarlane name and you will certainly want to grab them when they become available in late October exclusively through Toys R Us. Next up we made our way through the never ending droves of cos-players to attend Marvel Comics announcement of their latest venture. Marvels Chief Creative Officer Joe Quesada was on hand to announce “The Marvel Experience” a hyper reality traveling tour which puts fans directly in to the action of their favorite comics/movies. The traveling tour produced by Hero Ventures will feature seven domes housing state of the art displays and 4-D motion rides which throw you into the middle of a full on Hollywood scripted adventure. The first run of shows will start on December 15th in Scottsdale, AZ. The tour will also be making stops in Texas and California throughout the months of January, February and March with more dates/cities set to be announced in the near future. It wouldn’t be a Comic Con unless we made a stop to Artist Alley and checked out all the amazing talent assembled for this year’s event. Though not as busy as the conventions main floor it was a nice break to be able to walk amongst the isles and see a lot of great work not only on display but also being created right before your eyes. Some of the bigger draws for Thursday were “Batman” artist Greg Capullo, DC Comics Jim Lee and Spiderman artist Humberto Ramos all garnered lines that required quite a bit of waiting. Those looking for rare variant covers and other hard to find comic pieces were certainly in their glory on this day. Before heading back to the main floor we made a quick journey to the basement of the complex which was playing host to the autograph area along with countless panel viewing rooms and creative workshops. Probably the biggest draw for the panels this day was for that of Rooster Teeth which featured series creators Monty Oum and Kerry Shawcross along with the voice of “Yang” Barbara Dunkleman. The three were on hand to show some new and behind the scenes footage of “RWBY” Volume 2. On hand for autographs this day was Karl Urban, Kevin Conroy and Giancarlo Esposito to name just a few. With only a few hours left in the day we ventured back to the main exhibit floor to check out some of the vendors on hand selling everything from comic books and graphic novels to clothing and other collectable memorabilia. New York’s own Midtown Comics continues to impress me year after year with their massive set up that has pretty much everything you can think of comic related. With booths all trying to make the most of their spaces none seem to rival Midtown. As we made our way through the tight and poorly labeled booths it was easy to become frustrated as finding smaller booths in the sea of heavy hitters made traversing the landscape of vendors a bit tiresome. After a busy/tiring day we left this year’s Comic Con with full backpacks and big wish lists as it was impossible to buy everything we saw and wanted. Sadly the shuttle situation still had yet to be ironed out as convention staff still was clueless as to when or even where you could pick up the shuttle that they provided. As we shook our heads in disbelief we knew that it was time for the day to be over. Minus a few small hiccups New York Comic was once again a great time. Whether you had never been or are a long time attendee of the convention there is always something for everyone and 2014 had that and then some. Ok, so I know I’m not the movie guy here (not trying to become one either…I like my little corner of the website here talking about comics and games), but I feel I have to take a break from my normal rantings and ravings to rage about a comic book movie issue that is driving me absolutely nuts (we’ll get back to the second half of my take on the independent comics reigning supreme over the current comicscape next time). All I have heard the last couple weeks is about how Guardians of the Galaxy is the best Marvel movie yet. Are you people out of your frakkin collective minds!!??!?!? Have you been fed media crack for so long that your short term memory is that completely and utterly useless?? I even went to go see it a second time, just to be sure I wasn’t the one who was hitting the bottle here (granted, I did sleep through half of it the first time, so I really did have to make sure for myself). I will admit two things and only two things, because they are the only two things that I can truly say in a positive light about Guardians of the Galaxy. #1…Groot rocked, seriously awesome, best character in the movie hands down. Vin Diesel has always been an amazing voice actor (If you haven’t seen Iron Giant, shame on you), but the fact that he was able to convey an array of emotions with only three words was incredible, while the way the character of Groot came to perceive and respond to the world around him was genius. I will give you all that. #2…the movie was fun. The problem, though, is that it was only fun in the way that every other ‘outlaw sci-fi’ movie or television show that has ever been done before was fun (Han Solo in Star Wars, Malcolm Reynolds in Firefly/Serenity, Starbuck in Battlestar Galactica etc). Thus, everyone’s ‘best Marvel movie yet’ was really just recycled, rehashed, retread special effects madness. And need I say it…Howard the Duck?? Howard the frakkin Duck?? How in the frak can you even take that seriously?!?!?!? Even if there weren’t all these problems with the movie, best Marvel movie yet?? Really?? Have you all really already forgotten Winter Soldier, where S.H.E.I.L.D. collapses and Cap’s best friend comes back as the villain?? Or Thor: Dark World, where Loki just straight up stole the show? Or even Avengers, where Joss Whedon actually raised the bar on comic book movies to challenge the entire world to make them better?? Even before that, Ed Norton just destroyed it as The Hulk. Even as far back as the first Iron Man, which raised questions about the morality of war and making profits of off it when we could be using the same technology for alternate energy sources, the Marvel movies that have come before have not just been ‘fun’, they raised awareness and asked questions; they made social statements. Even the ‘non-Marvel’ Marvel movies (those not done by Marvel studios) were far and above Guardians, or have you all also forgotten X-Men: First Class and The Amazing Spider-Man? I’m sorry if I’ve offended you, folks. Sorry if I’ve challenged the status quo, but if you actually believe that Guardians of the Galaxy is the best Marvel movie, you are a simpleton who has been easily led astray by a talking raccoon and a dancing plant. To celebrate the Blu-ray release of “The Angriest Man in Brooklyn”, Media Mikes is excited to giveaway one (1) copy of the Blu-ray to our readers. If you would like to enter for your chance to win one of this prize, please leave us a comment below or send us an email with your favorite film with Robin Williams. This giveaway will remain open until July 25th at Noon, Eastern Time. This is open to our readers in US and Canada only. One entry per person, per household. All other entries will be considered invalid. Media Mikes will randomly select winners. Winners will be alerted via email. Some people have bad days. Henry Altmann (Williams) has one every day. Always unhappy and angry at the world including everyone in it, Henry sits impatiently at the doctor’s office when he is finally seen by Dr. Sharon Gill (Kunis). Sharon, who is enduring her own bad day, reveals that Henry has a brain aneurysm. This news makes Henry even angrier, yelling at Sharon he demands to know how much time he has left. Faced with Henry’s anger and insults, Sharon abruptly tells him he has only 90 minutes. Shocked and reeling by this news, Henry storms out of the office leaving Sharon stunned by what she has just done in a lapse of judgment. As Sharon goes on a city-wide search, Henry struggles with his diagnosis, determined to make amends with everyone he has hurt in his life.